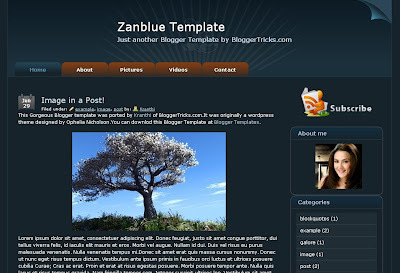 Another Gorgeous Blogger Template 'Zanblue' for you guys! Here is another lovely Blogger Template for you guys... the template comes with 2 column, with excellent header image and beautiful navigation bar at the top and rare 3d rss button in the sidebar.. This was a wordpress theme design by Ophelia Nicholson.hav a look at the Live Demo..you love it! and You can download this Gorgeous template here. 1.After installing the template, you have to edit the top navigation links. 3.And the final thing is.. you have to change your time stamp format. and change the format like the below screenshot and Save the changes. I enjoy your blog, I am having a problem with my own blog. I want to be able to add a link sometimes to the end of a post when it is too long, that takes the reader to a unique page with my full blog. One example of what I'm talking about is here: http://www.cagepotato.com/page/2/ and the title of the article is something like exclusive interview with Forest Griffin and at the end of the blog is a link called MORE... which takes the reader to a unique web page, so on his main page is only a snippet of the article. Can you please help me, how do i do this ? I love your site, can you please tell me how you do that read more... thing? Some of my blogs are too long, this would really help. Jut wondering if it's possible to change text colours and fonts?? and if so how? A nice template, how do I change it to 3 columns? Anyboy help me, please? 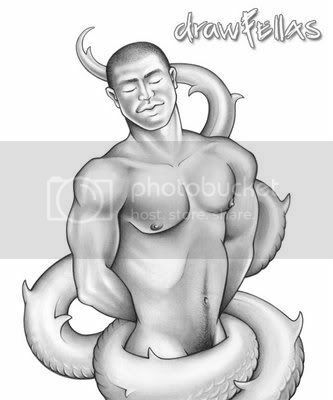 how can i add link to older post page, home , next, page at the bottom of the templete. Hi, To get them back, Simply remove these few lines from the template.. I was wondering how to get older posts back too..I removed the lines above, but only get 10 older posts that show. hi excellent template , however the date doesnt seem to appear on the the posts. do i need to set it to a specific date format . I absolutely love this template, however there is no "older posts' on mine. Can you and would you please help? I just don't understand. There is no way for my readers to get to the next page unless they do it through my archives. Hi - thanks so much for this great template; you do fabulous work. I have a question, though. I'm having trouble getting the date to show up on the little calendar icon. Is there a way to fix this? Or how about is there a way to just simply show the date underneath each post -- like on other templates? But now the problem is that the links of newer, old, and home are blending soo much with the template that they are barely visible. Also can you tell me how to decrease the spacing between two lines in the footer section [so that I can also add my information there] and also in the sidebar section. I also noticed the date isn't displaying.. What am I missing? I changed the date stamp format but it still doesn't display?? No older post is a problem how do we set that up? also how do you set up edit post shortcut? Finally how do you set the "Home" menu button to change color on hover like the rest? Okay I got the older/newer/home links enabled by following the directions posted above on Comment by kranthi on August 24, 2008 12:25 AM. 1. enable the edit post function at each post. 2. Change the "Home" menu tab to change color from red to blue like the other menu tabs. Thanks in advance for the help and Thanks for a wonderful template. But the problem is the date doesnt appear on the post. I already change my timestamp format but it doesnt work. Please help me. Thanks in advance..
hi, i tried using this template code but i don't how to do the "'YOURLINKHERE'. Please enlighten me. Plus i don't have a feedburner url,which part of the code should i delete? I like your site, there is so much to learn here. Keep it up. Question about adding links to the top nav links - are they intended to be used for tabbed browsing on the same blogger site? I hope so. Or are they intended to link to outside pages? Or can they be used as both? If possible, I would like to use them as tabbed browsing of my site, but don't know exactly how to do this — any help is greatly appreciated. hope you make this 3 column too thanks this is cool too and charcoal 3 column i used already hope you make also 3 column of this zanblue. just make a post for whatever you want to write and replace that YOURLINKHERE with the permalink. is it possible to make it not able to scroll to the right? which is empty? Sorry but the date isn't appearing on my posts. Why is that? how to open the navigation links in new window.? hi i cant see date. should my default language be english? is it problem? and to be able to control many things like colors . Hi thanks for template but i cant see date what shoul i do...? Hi. Thanks for the template. I cant see the date as well. I lost all the pictures of this templates about two days ago. What's happend? I've been used for long time and I love it. i just noticed that the graffiti art template has been updated (sorry for not noticing that BEFORE I contacted you) but this one seems to still be a problem. Did any one figure out how to get the time stamp to show? I have the template but it would be awesome to have 3 columns. Awesome! Thank you kindly - works great! I can't get the date to show??? Hope this helps. It shows up on my blog now.